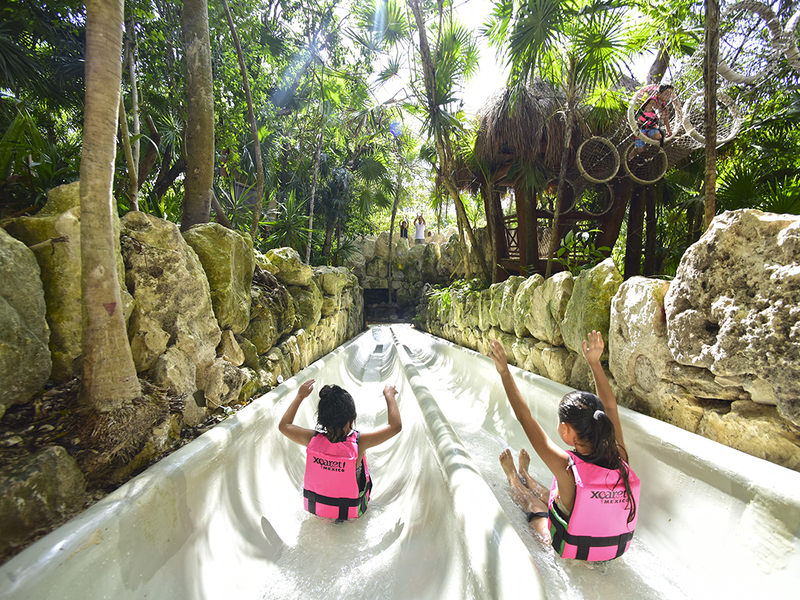 The Riviera Maya’s sustainable and multi-faceted theme park circuit is a must-do for your next Mayan Riviera Vacation. Every trip, whether to Cancun or to the broader Riviera Maya can and should be simply magical. The beaches are world-class, the natural and ancient human history are astounding, and the xenote-perforated landscape is phenomenally beautiful. But sun-worshippers and revelers often miss one of the single best reasons to come and to stay. It rivals Orlando for sheer fun and adventure, and in Mexican-style, it’s also sustainably developed to better preserve and present all that the Riviera Maya has to offer. 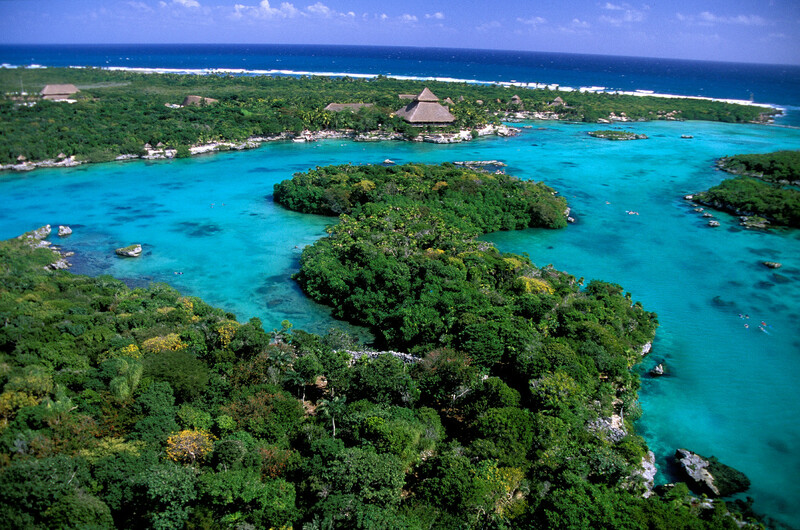 Of course, we’re talking about the Xcaret parks that have continued to expand and grow since 1990. In 2016, in fact, they won the Travvy award for Best International Theme Park – in the World! But because Xcaret is so big, it’s almost impossible to put it all down in one place. There’s quite literally something for everyone in your travel party – from toddlers* on up to the senior-est of citizens. And what a party it will be. (Including descriptions of each separate park and tour offering). Xcaret was the first and remains the signature park of the group. Right in from the Riviera Maya coast, visitors get a more than 40 carefully maintained attractions, from a butterfly pavilion to the Coral Reef Aquarium and endless shows and presentations on Mexican and Mayan culture and history. There are wild animals being looked after, and museums and excellent restaurants. Guests can swim in the underground rivers or take to the beach. There are also archaeological ruins, on site, and the jungle is carefully and lovingly presented for guests to explore and learn from. Xel-Há was developed around the natural wonders of its idyllic location. A snorkeling paradise, it’s a well maintained and spectacular inlet on the Caribbean. Guests take to the lighthouse for unparalleled views, and includes zip-lines, inner-tubing and bicycle trails that will lead you only deeper into the magic of the Riviera. A trip to Xenses generally takes about five hours. Visitors start at the Xensatorium where the vibrant eco-system is explained, before moving to the Labyrinth of Underground Arteries. A river of very salty water lets everyone float along, and ziplines and even a mud-river let kids do what kids do best. But Xenses is for guests of all ages, with smart and intriguing challenges to everything you think you’ve learned so far, about science, nature and the natural environment. Xplor is home to the highest ziplines anywhere on the Riviera. That gives you a good overview for further exploring the largely underground world where most of the park really opens up. Stalactite Rivers pass the grottos and everything can be reached by swimming or along an admittedly wet walk. 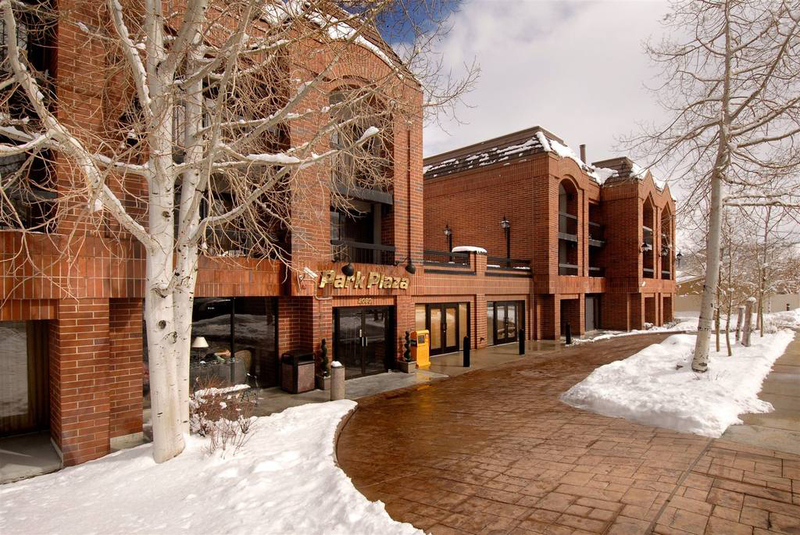 Most guests will want to stay for dinner, but that brings us to the next attraction. 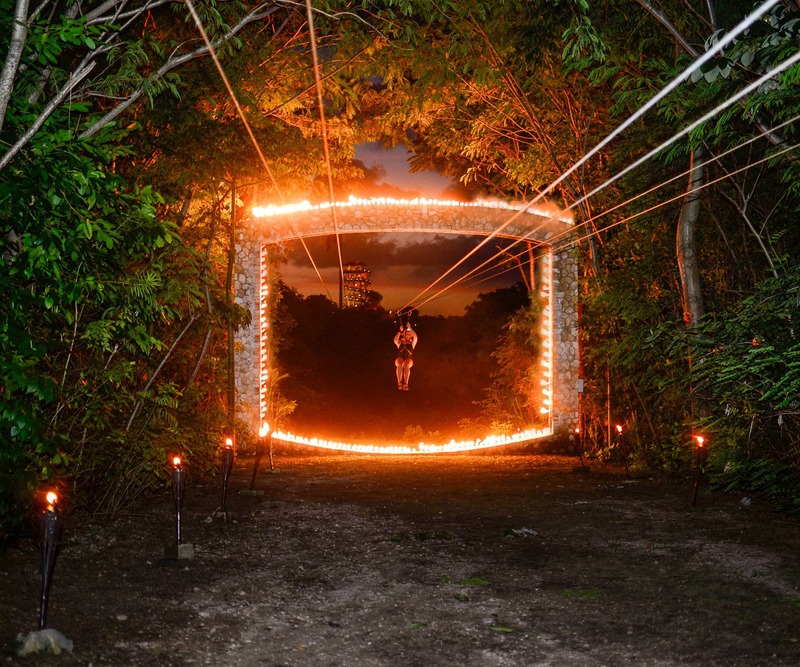 Xplor Fuego takes the whole thing to a nighttime dimension. Guests discover the deep mystery of the rainforest, as you’ve never seen it before. 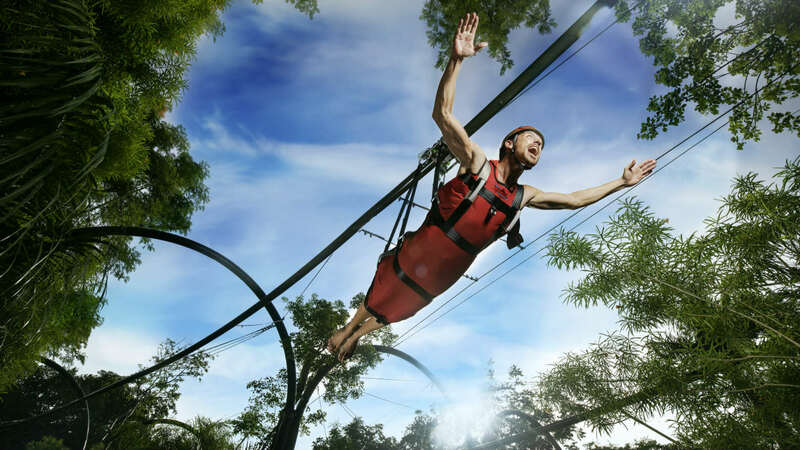 You can take an amphibious vehicle and take to the seven separate zip lines. Spelunking in the underground caves and river system takes on whole new meaning, and admission includes a barbecue buffer and plenty for everybody. Xenotes may just be the single best way to explore the area’s unique and fascinating system of cenotes and underground river systems. 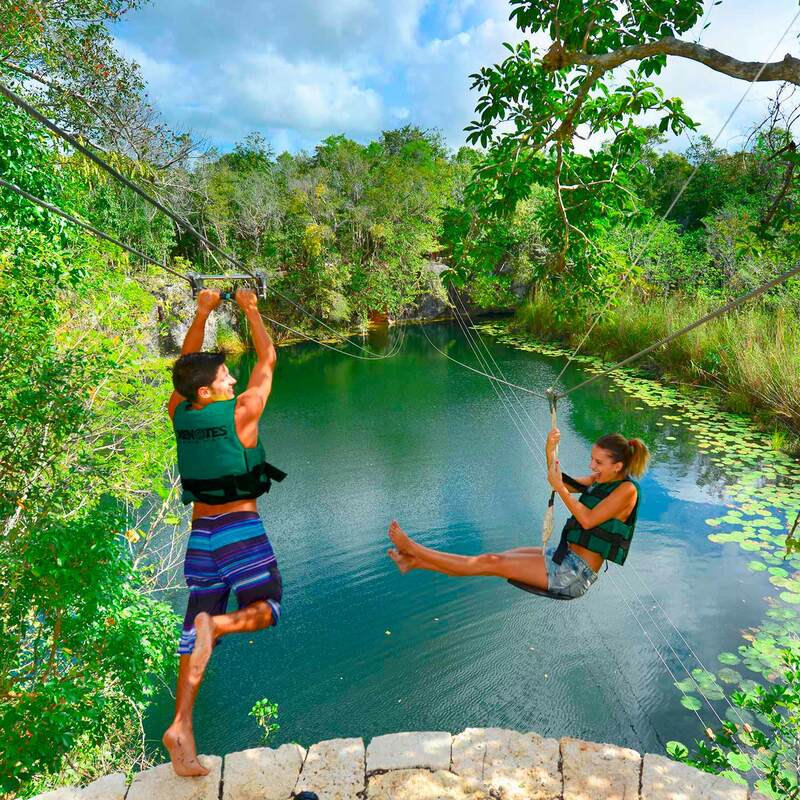 Xenotes lets you start exploring by kayaking, rappelling, snorkeling or, for the adventurous, on those overhead zip-lines. 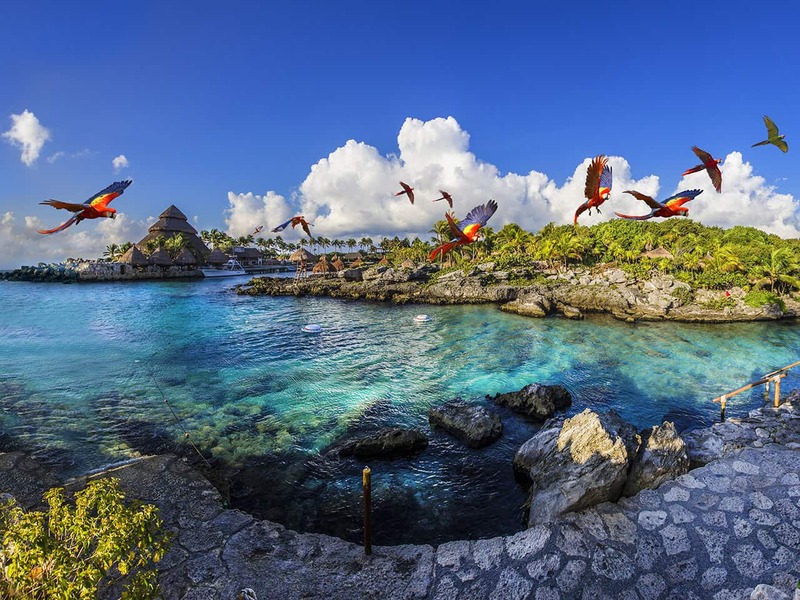 One of the most natural and sedate of all the Xcaret offerings, it’s a tremendous trip into what must be one of nature’s most magnificent places. Xichen. Hungry after all that? The Xichen package whisks you and your family not just to the world-famous Chichén Itzá ruins, but it will astound your taste buds with a full immersion into the complex and illustrious Yucatecan cuisine. As old as Chichén Itzá, the food of the region is renowned for exotic flavors, and they’re that much better in the shadow of the great pyramids. 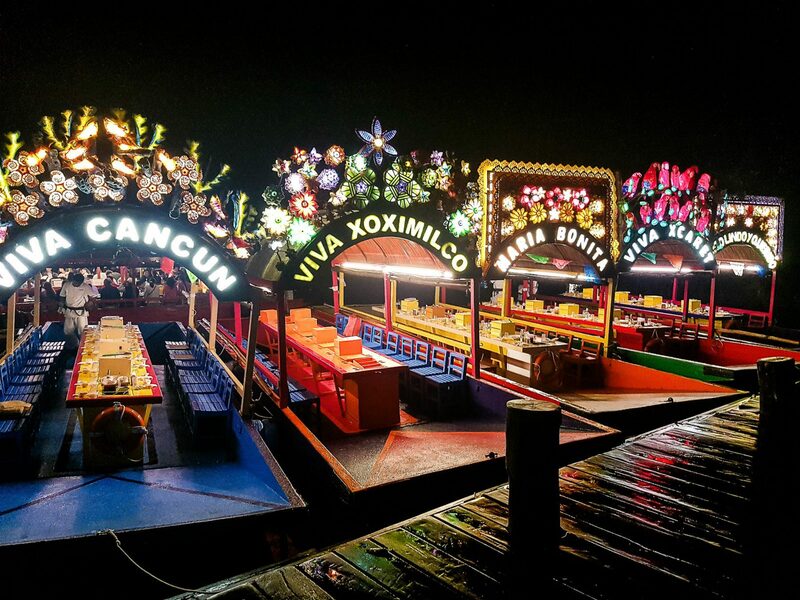 Xoximilco offers a tremendous variety of boat and raft-based tours and dinner trips for up to 20 people. 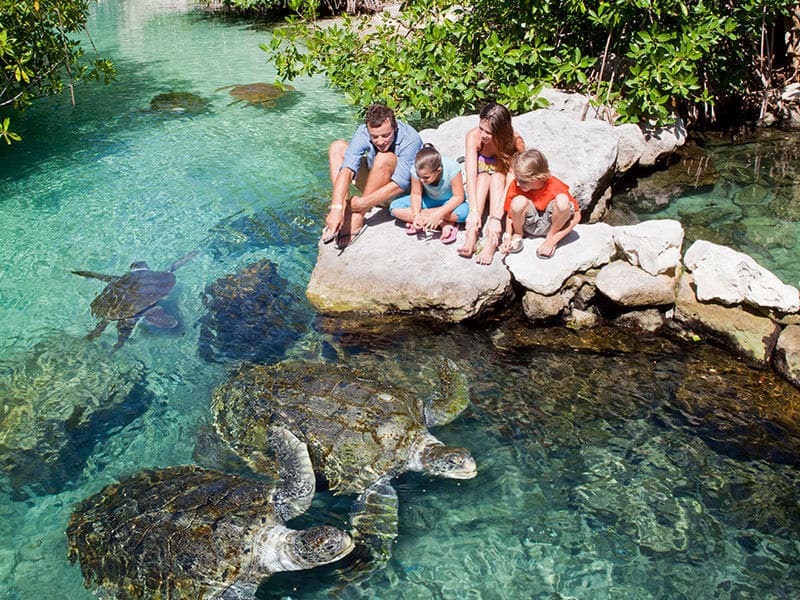 With music and jungle adventures guaranteed for every member of the family, dinner trips take about three hours and this one is right in Cancun. Xavage – is the true adventurers’ park experience. You can choose the skill and excitement level right for you, and get going. Xavage includes everything from Zip-lines, to kayaking and offroad vehicles, and it’s new for 2018. 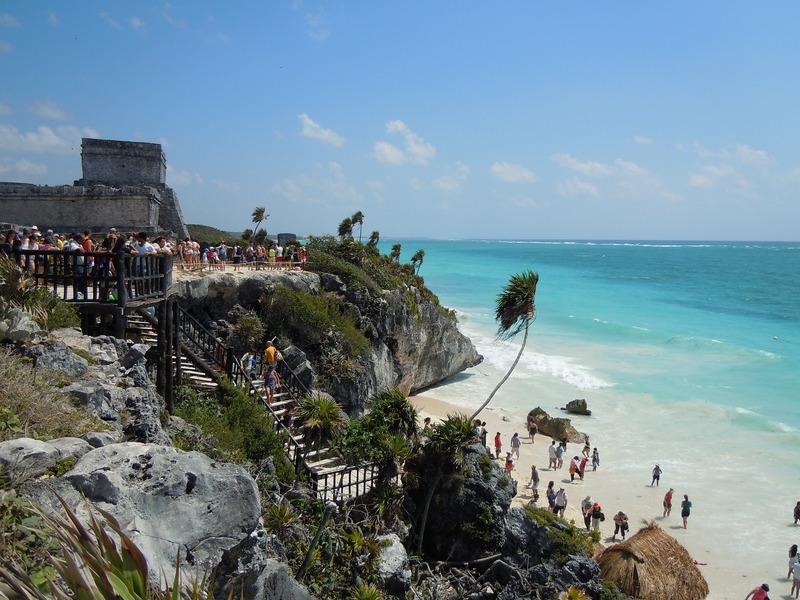 The entire ancient Mayan world: Tulum, Cobá & More. 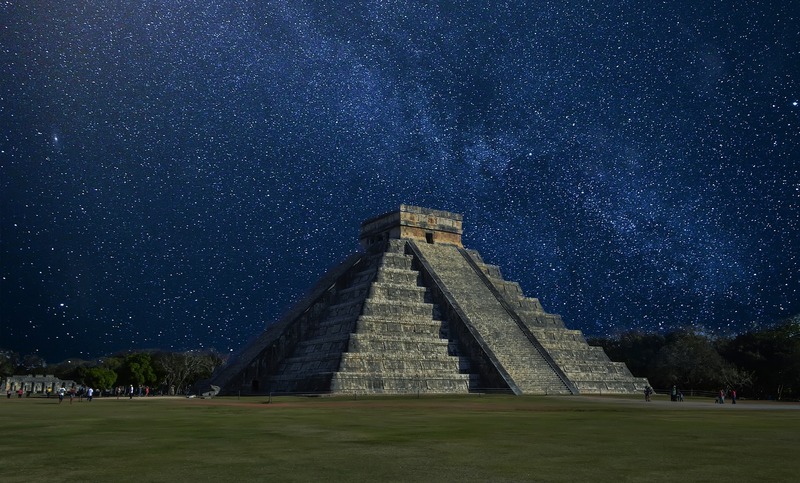 Chichén Itzá often just whets the appetites of those who want to go and go further. 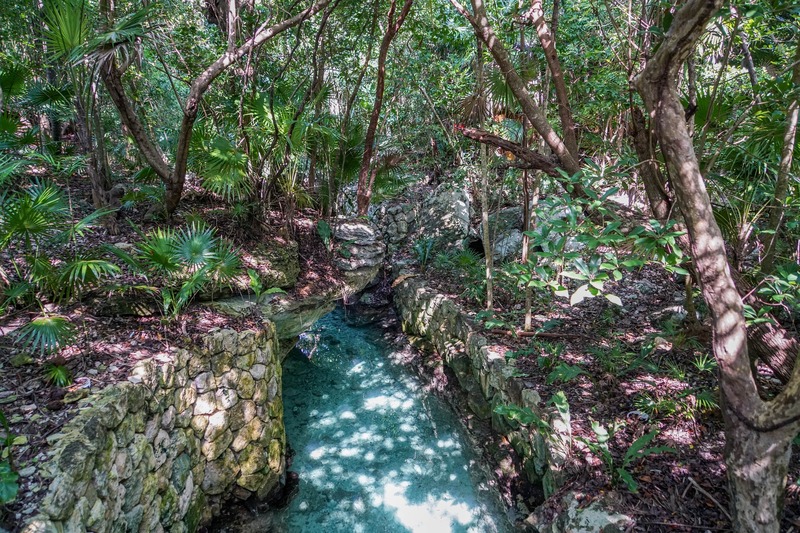 Xcaret will arrange professionally led and remarkable tours into the deepest parts of the Mayan Riviera – and the Mayan past. Archaeological tours are arranged, in package deals with admission to the Xel-ha and can include box-lunches, snorkeling and more. No one does all of Xcaret. But for lots of visitors, there’s always something new and outstanding, and without heavy Hollywood licensing agreements. It’s wet and natural. Don’t forget. Even taking off from your favorite hotel or resort for the day, you’re never terribly far from the sea. 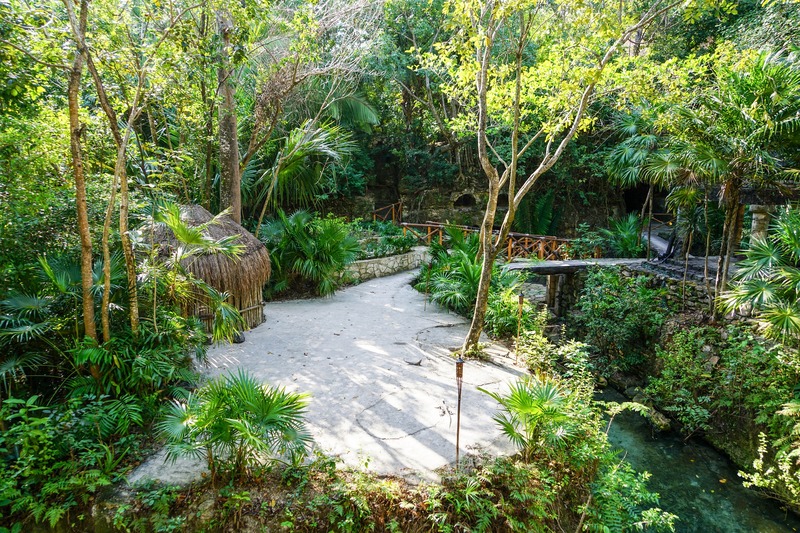 Xcaret parks are designed and intended as a complement to your seaside vacation, and most of them require swimsuits, swim shoes and biodegradable sunscreen, and insect repellents. 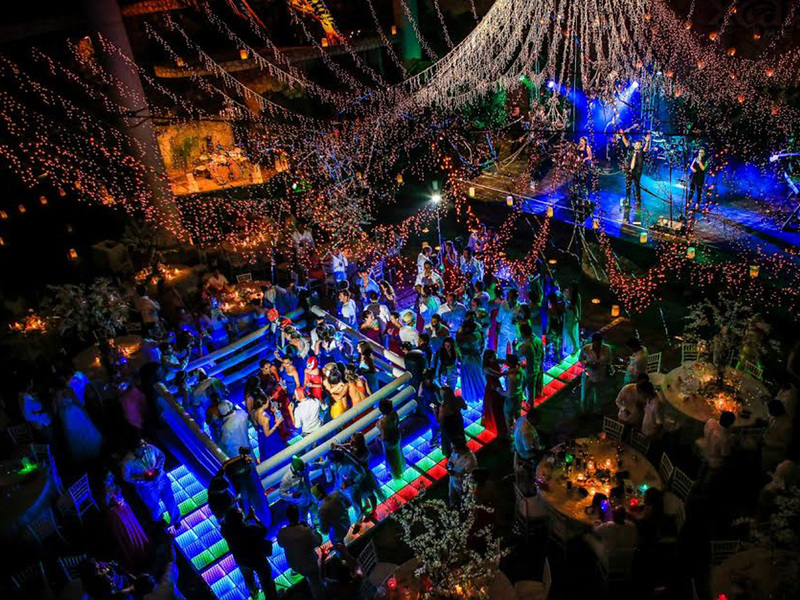 Xcaret Experiences are for smart travelers and for those intent upon getting the most out of any vacation. The fact that the Mayan Riviera is so close, and so rich in culture, nature, and history is part of what makes Xcaret Experiences so outstanding. The other part is YOU. Your holiday advisor will be happy to provide more information or to help you to select the hotel that’s best for one or more visits to all of the above. You can come back, even every year, so there’s no reason to wait. 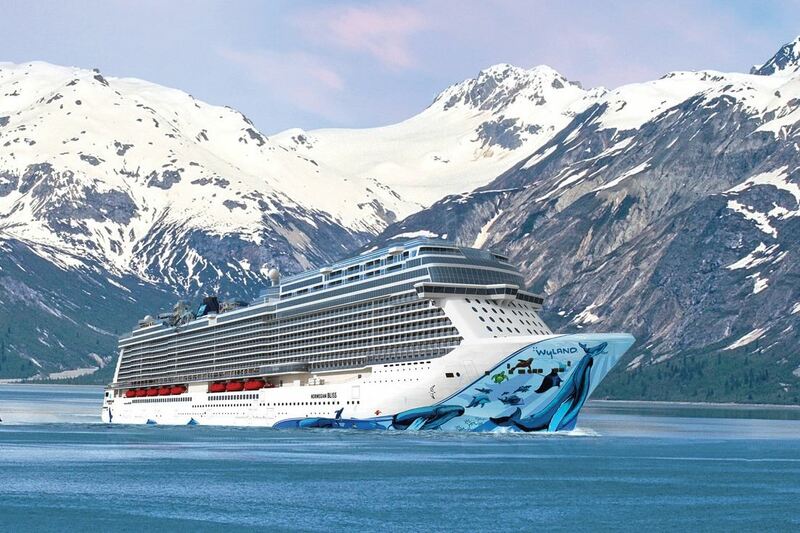 Start your next vacation today. *Kids do need to be older than five to enter just about all the parks other than Xcaret itself. 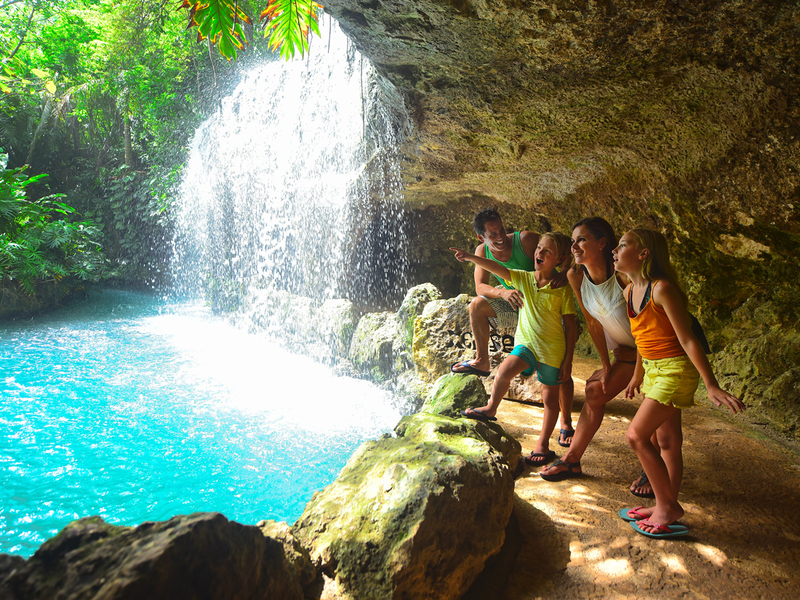 At Xcaret, those younger than four will enter for free.